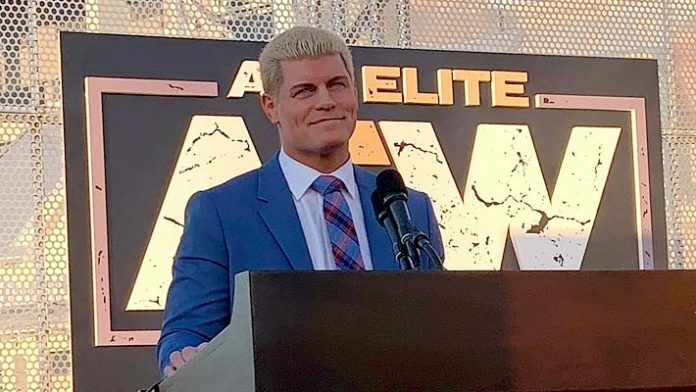 For fans hoping to attend an AEW (All Elite Wrestling) show during a future WrestleMania weekend, Cody Rhodes has addressed that possibility. A fan recently told Rhodes on social media that if AEW is going to run an event during WrestleMania 36 weekend next year in Florida then he thinks it should be a Spring Break Nitro style show at a bar on the beach. We won’t be doing Mania’ weekend ever friend. That belongs to WWE. AEW will hold their inaugural show, Double or Nothing, that is set to take place May 25th at the MGM Grand Garden Arena in Las Vegas, Nevada. AAA Tag Team Champions The Young Bucks vs. The Lucha Bros.
AEW will also hold the Fight for the Fallen show on July 13th in Jacksonville, Florida at Daily’s Place. As of this writing, no matches for this show have been announced.